Apple fans are waiting with bated breath - and a seemingly unending supply of rumours - for the iPhone Version 2. 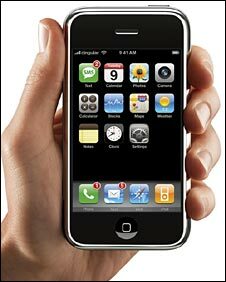 The iPhone Version 1 was launched in the US in June 2007 to widespread tech hysteria. Version 2 is widely expected to be unleashed at Apple's WorldWide Developers Conference that starts on 9 June. will run on 3G, with the more pedantic design watchers predicting it will be slightly fatter as a result due to the need for a bigger battery. Others predict a bigger camera, video-calling capacities and a GPS (Global Positioning System) chip built in. Ben Wood, director of analyst firm CCS Insight, goes further, predicting that a blue button on the phone will link directly through to Apple's application store, with access to games, calculators, currency converters, screen-savers and ringtones. "We predict this will become the most popular mobile applications store ever launched," he said. Apple has a tendency to offer something no-one expected and such a "sting in the tail" is also possible thinks Mr Wood. If it didn't have an Apple logo, it would have been long forgotten. Possible other "stings" include a hybrid iPhone Nano, a new partnership with a big internet brand or capacity for mobile TV. Of course the biggest surprise would be no announcement at all, but even if the rumours turn out to be premature, there is no doubting the influence of the first iPhone. Data usage has grown exponentially since the iPhone launched with all operators seeing a huge ramp up in the amount of non-voice traffic. "In the last six months we have seen continuing demand for these services and have improved our own mobile browsing and music download services to meet this demand," said Richard Warmsley, head of Beyond Voice at T-Mobile. CCS Insight predicts that 218 million Europeans will be browsing on mobile devices by 2010. "Apple has done an amazing job. It was its first ever mobile phone and it has managed to reshape the market and how people interact with their mobiles," said Mr Wood. 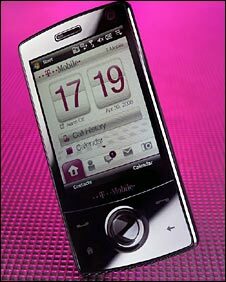 So-called smartphones have been slow to take off and, for a long time, remained a must-have only for corporate workers. Tony Cripps, senior analyst with research firm Ovum, thinks that expectations of mobile connectivity have changed over the last year to the extent that the term "smartphone" is largely "redundant". "A lot more devices can access the web and there is a huge range of services which people want from e-mail, search, maps and social networking. "The younger generation now expect all of these on their mobiles as standard," he said. Currently, the price of the iPhone puts it out of the range of many younger consumers, but some think the new version, whenever it is announced, will come with new pricing models. The mobile market in Europe, where operators routinely subsidise the price of handsets, has meant that the high-priced iPhones have sold in much smaller quantities than in the US. Five million iPhones have been sold but less than 350,000 of these were shifted in Europe, says research firm Jupiter. "The question has to be asked to what extent Apple can succeed without embracing the traditional mobile eco-system," said Jupiter analyst Thomas Husson. Mr Woods believes the iPhone Version 2 could change the way Apple does business with the mobile operators. "Some level of subsidy is likely to be available and operators are going to be allowed to set the price to some extent, although there are bound to be guidelines from Apple which will not want to endanger its lucrative iPod business," he said. The era of exclusivity, where just one operator per country rolled out the iPhone, is already changing. Vodafone and TIM are both due to launch the iPhone in Italy later this year. Vodafone has also signed up to deliver the iPhone in Australia, New Zealand, Czech Republic, Egypt, Greece, Italy, India, South Africa and Turkey. In markets such as Italy, where 90% of the market is pre-paid, it is likely non-contract handsets will be available, thinks Mr Wood. The change in tactics is down in part to the unexpected number of people unlocking their iPhones to work on any network. For the hard-core Apple fans the price of the next generation device comes second to its new specs, but not everyone is so excited by the whole iPhone phenomenon. Microsoft's anticipation is, as one would expect, lukewarm. About Version 1, director of Windows Mobile, John Starkweather said: "If it didn't have an Apple logo, it would have been long forgotten." He maintains that Apple is still playing catch-up with the rest of the smartphone market. "This year sees their first 3G phone to market. We have had 3G-enabled phones since the first networks were built and we will sell 20m new Windows Mobile phones in 2008," he said. The numbers put the market share of the iPhone into perspective, but as more and more copycat iPhone handsets come on the market, the influence of its look is undisputed, even by Microsoft. "Apple is good at design," conceded Mr Starkweather.